Build Online Order Forms. Collect payments through PayPal and credit card. Users can now build a wide range of online order forms and accept payments for goods sold. Order forms can also be customized to collect registration fees for training sessions and conferences, subscriptions or even donations on a recurring basis. The Zoho Creator payment module is integrated with PayPal Gateway. Customers can pay for their orders or donations using their credit cards or PayPal accounts. Build full fledged order forms to sell goods and accept payments. Accept donations for your cause using your customized order forms. 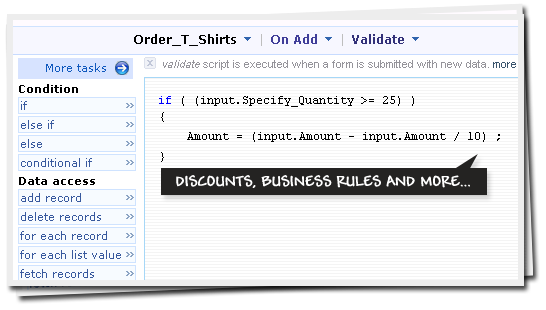 Add validations, business rules and workflows to your order forms. Grab more eyeballs. Embed your order and donation forms in your website. Your forms are not just for collecting information. You can now build online order forms designed to offer items for sale and accept payments for the orders placed. Customers will be presented with a list of items that you are offering for sale. You can use any of the supported currencies in Zoho Creator to accept payments from your customers for the orders that they have placed. Customers can pay for their orders using their paypal account or credit cards. Not just selling items you can also collect donations for your charity or trust using the payment module. The donation form is slightly different from the usual order form. The main point of difference is that, for donation forms, there is no separate parent form. 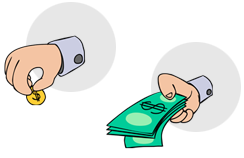 There is just a single form, where apart from collecting details from the user such as contact information, comments etc, the user simply has to enter the amount he is willing to donate. Donations can also be collected on a recurring basis. Discounts, offers and gift cards are an integral part of any shopping experience. Why deny that to your users. Unleash the power of Deluge Script on your payment forms. From offering discounts based on the number of items ordered all the way up to generating an invoice for the payment made, you can do it all using Deluge Script. The most popular and loved Email notifications would come in handy too. Get notified whenever an order is placed. You can also send out thank you notes to people who donated to your cause or subscribed to your magazine. 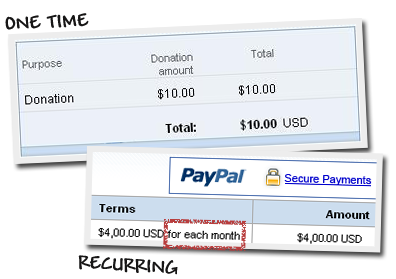 Order forms and donation forms, like regular Zoho Creator forms can be embedded in your website or blogs. 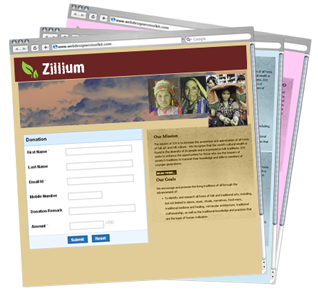 Customize the colors, fonts and the layout of your forms to fit them right into your website. You can also redirect your users to a dedicated page, once the payment is complete. Send out emails to your prospective clients and donor with links to your forms.